The M 40-2 H is designed for the construction and timber industries, quarries or any other sector requiring an all-terrain forklift truck. 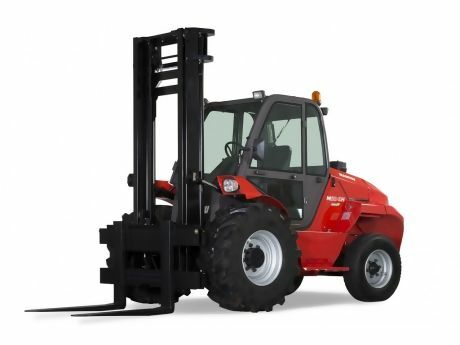 It has a 4 tonne maximum lifting capacity running off of a 75 hp engine. Ground clearance stands at 36 cm with 2-wheel drive for good maneuverability and stability, regardless of the terrain underneath. The hydro-static transmission ensures optimum flexibility during maneuvering and approaches, which translates to better on-site productivity. And to better adapt to the various ground conditions it comes up against, a wide range of tires are available for the M 40-2 H to ensure maximum performance, regardless of the circumstances.